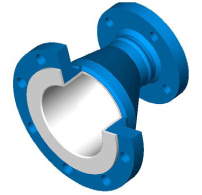 Pex-lined steel fittings consist of a steel flanged fitting lined with thick black Pex coating which extends over the full face of the flanges. 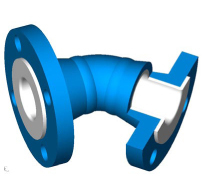 This type of fitting can be used as a standard fitting such as a Tee, an elbow, or a reducer. 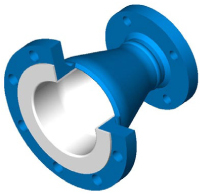 The fittings are supplied with an external epoxy coating. Standard fittings are supplied with wall thickness of Pex layer: 3–5mm for corrosion resistance and up to 10mm for abrasion resistance. 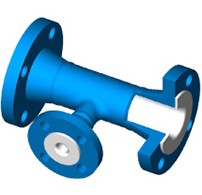 The fittings are usually supplied with weld-neck flanges. 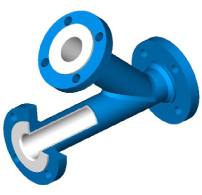 Loose flanges are supplied on request. 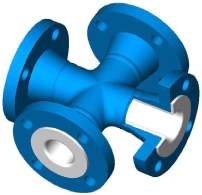 Shorter fittings (with slip-on flanges instead of weld-neck flanges) are supplied on request. The elbows in the fittings catalog are 1.5XD elbows. 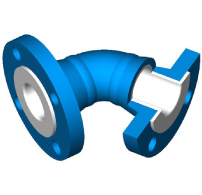 Long-radius (3XD) elbows or elbows with a larger radius can be supplied upon request. The min. 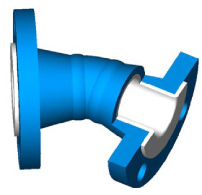 length of each fitting is indicated in the fitting catalogue. This length can be reduced after consulting us. 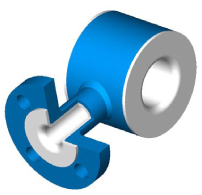 It is possible to order a non-standard fitting, which is a combination of standard fittings, or a standard fitting with longer legs. For maximum allowable length, consult the application engineer. Pexgol supplies straight sections of steel Pex-lined pipes as well, between Pex-lined fittings, in order maintain the same ID on the line. 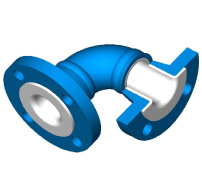 Alternatively, we supply Pexgol pipes with the same or similar ID, or Pexgol reducers to match the ID.